Cantina Rallo Rujari Sicilia DOP - A unique wine on offer | Saporidoc UK. Rujari from the recognized Sicilian producer Rallo. A unique organic bright red wine purely made from Perricone grapes. 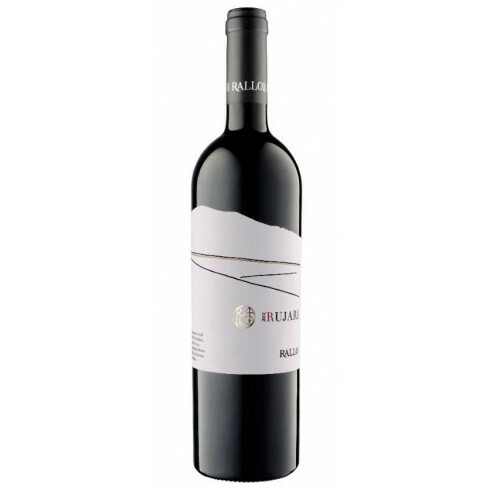 One of the top wines from this winery, made from a selection of the best red grapes of the year and aged for one year in oak casks to develop its delicate tannins. Pairs with Red meat, game, tasty roasts or seasoned cheeses. Serve at 15-16 C.
The Perriconevines for the Rujari red wine have an age of 5 years and grow in the sandy vineyards at Cantina Rallo’s Patti Piccolo winery at Alcamo east of Trapani in Western Sicily at an altitude of 200 m.
The grapes were harvested by hand, sorted and destalked followed by 15-20 days fermentation on the skins followed by malolactic fermentation. The wine was matured for 12 months in large oak barrels followed by 12 month in the bottles.